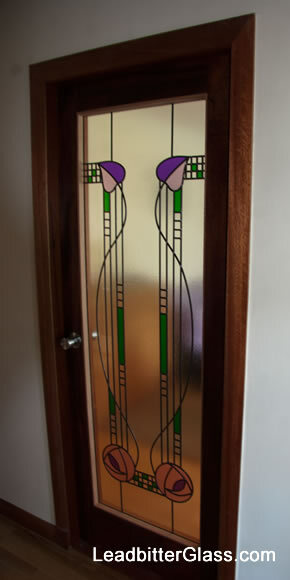 Mary from Perthshire was browsing our Charles Rennie Mackintosh Gallery recently and spotted a design that she loved (pictured left) but it wasn’t made for the same type of door that she had. 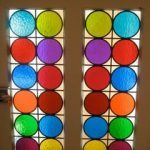 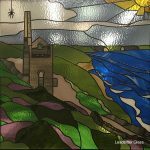 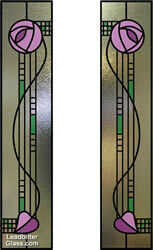 Mary contacted the studio and asked if she could have this split glazed door design incorporated into a full length glass door panel. 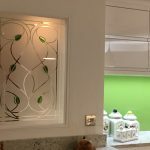 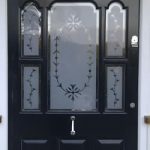 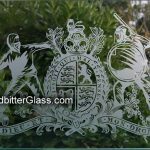 Mary opted to go for our Client Pages design service to see exactly how the design was going to look in her full length door glass before she placed a full order. 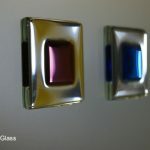 We created the design blending the 2 sides of the design 611 together and displayed the design using Stippolyte textured glass. 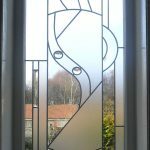 You can see our computer generated ‘mock up’ of the design that was supplied to Mary here. 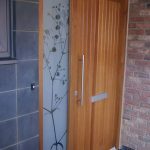 Once Mary saw the CGI mock-up she placed the full order and the below images are the images kindly supplied by Mary once the door glass had been installed into her Perthshire home. 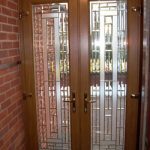 As you can see the Stippolyte glass gives a great privacy level but it also allows a lot of natural light through into the hallway. 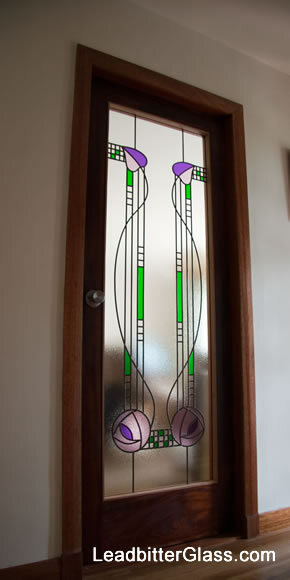 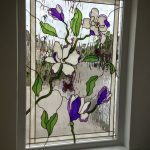 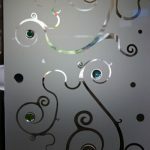 The colours appear really vibrant and overall it has created a beautiful Mackintosh door glass feature.